Apple has apparently shipped an updated Election 2012 Presidential Debate version of the Wall Street Journal Live app on the Apple TV’s home screen. We see the app now on the second page of ‘apps’, but your mileage may vary. The app was noticed by Joel Johnson on Twitter and we checked to see if it was on our Apple TV. Yep, it’s there and it’s actually a rebranding of the WSJ Live app, rather than a completely new app. This is the first instance that I can recall of an Apple TV app icon changing to reflect a dedicated topic like the election. Because this is part of the Wall Street Journal Live collection of apps on platforms like Roku and the web, some content will require a subscription to view. 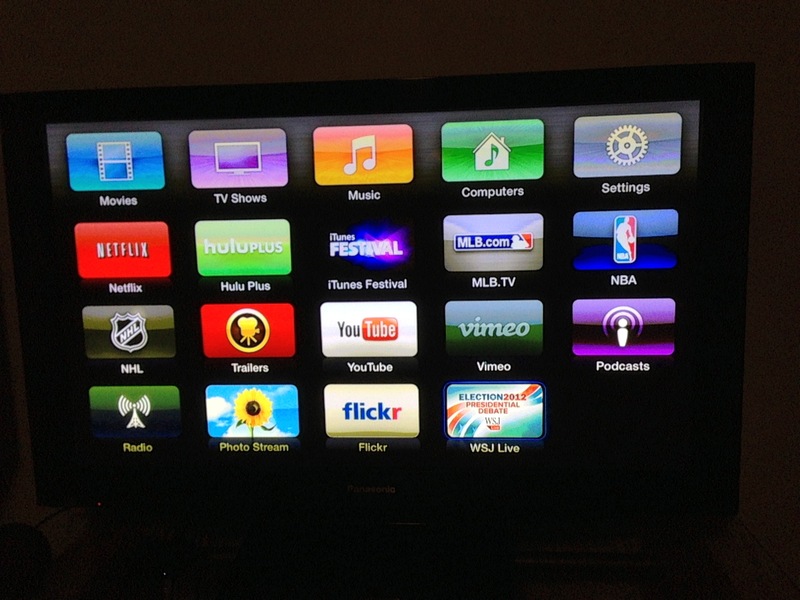 Apple added the WSJ Live app along with NHL, Trailers, Photo Stream and AirPlay Mirroring in October of 2011.